TAG Heuer is keeping up with the times, upgrading an already stylish collection to integrate the dynamic desires of today’s busy woman. The Formula 1 Lady model now features an interchangeable strap. The TAG Heuer Formula 1 Lady has always been a fashion watch that embodies the meeting of sport and lifestyle. It is the perfect marriage of style and functionality, made for women who live at their own pace. Now, the collection receives a reinterpretation in the form of a series of completely redesigned watches that can be personalised with an interchangeable strap. The case comes in polished and brushed steel or with black PVD coating, in 32 or 35 mm, and featuring the tonneau shape of the men’s TAG Heuer Formula 1 model. The entire curve of the case and lugs has been refined, adding femininity to the watch. 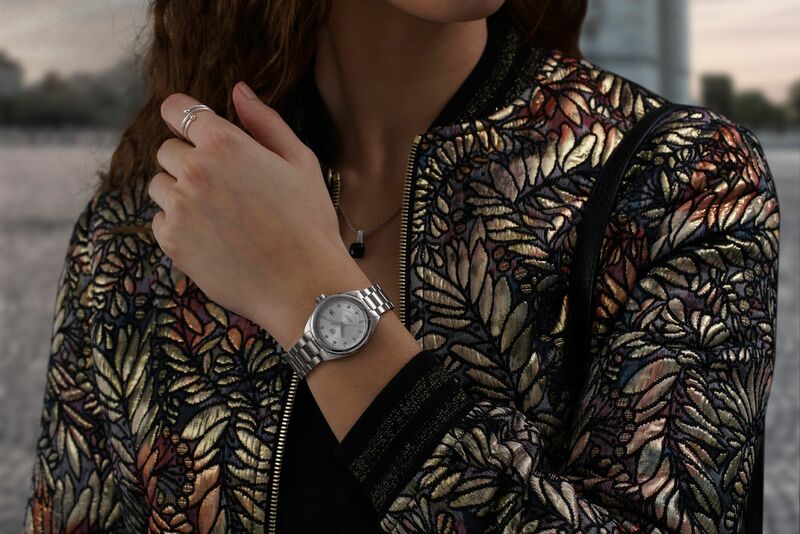 The bezel incorporates the collection's characteristic notches. The straps, meanwhile, come in brown, blue, white, red or black leather, or in metal. In one click, a new style is born. Inside, the watch houses a quartz movement, aligned with the men’s models.